New microscope, ready to bring out to sea! This week I received my lab’s first microscope! 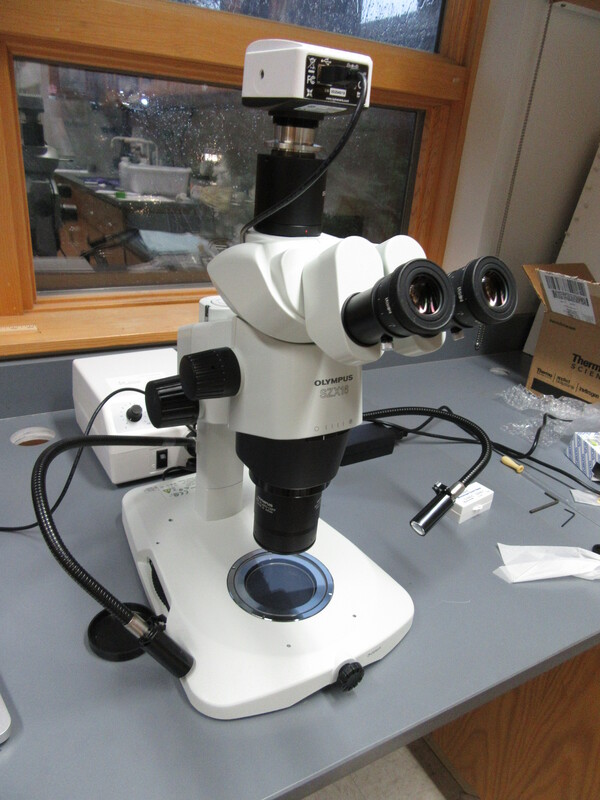 It is an Olympus SZX16 stereo microscope. This microscope will be used to image and quantify sinking particles collected in sediment traps. It also fits easily into a carry-on size bag so that I can safely transport it out to sea. 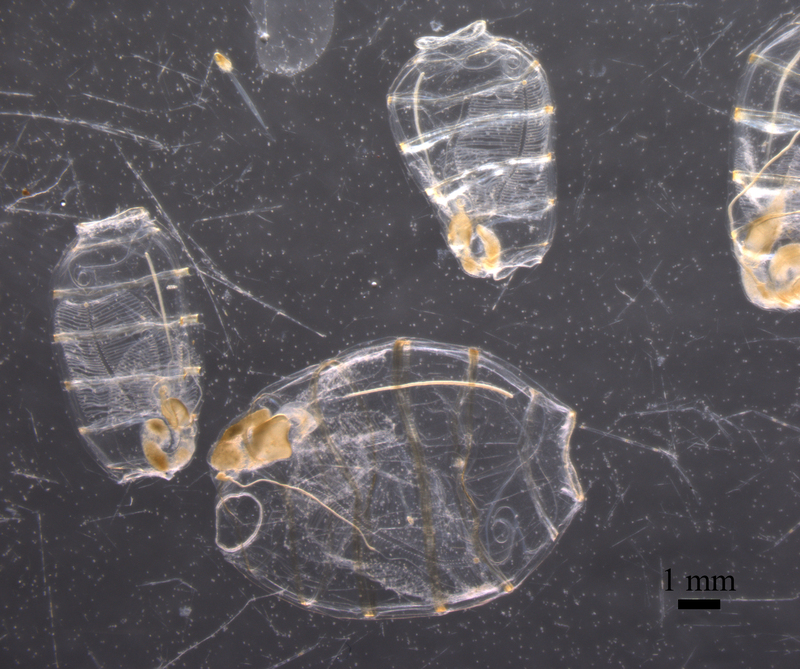 The doliolids are between 0.5 cm and 1 cm long, while the diatoms are about 0.005 cm long (or ~50 micrometers). 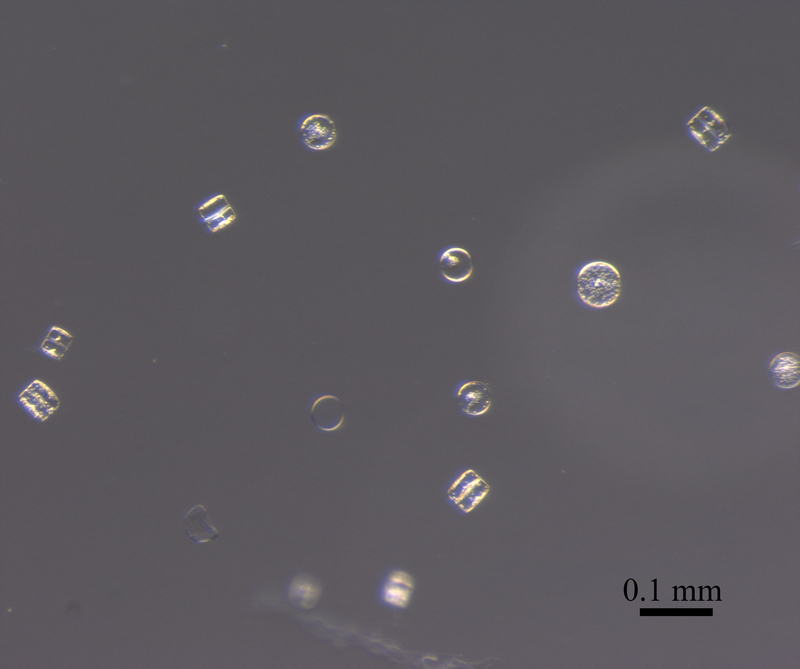 The diatoms in this image are called Coscinodiscus. I can’t wait to image sinking particles next month with my first microscope, and I’m already dreaming about microscope #2 for the lab.